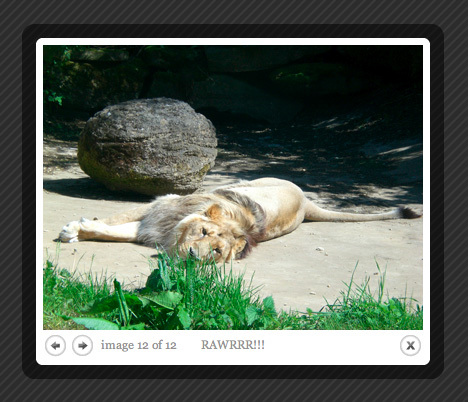 NextGEN Gallery ColorBoxer: 1-Click ColorBox Lightbox Integration With NextGEN Gallery! 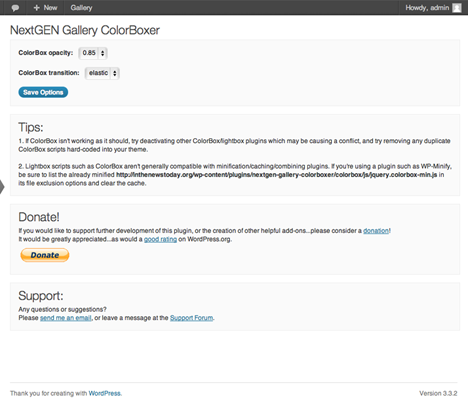 NextGEN Gallery ColorBoxer provides 1-click ColorBox lightbox integration with NextGEN Gallery and loads scripts & styles only when a gallery shortcode is present. 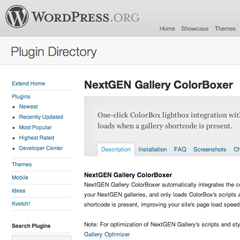 Providing one-click ColorBox lightbox integration with NextGEN Gallery, ColorBoxer, like Optimizer, also only loads the lightbox scripts and styles when a gallery shortcode is present, helping you speed up your site! It won’t optimize NextGEN Gallery’s scripts and styles however, that’s Optimizer’s job. But…if you’re crazy for ColorBox AND the speed boost from Optimizer…good news! You can use both plugins simultaneously! (just switch off Fancybox in Optimizer). ColorBoxer’s installation is completely automatic (just click activate on the plugins page), and for tinkerers, you can fine-tune your ColorBox opacity (21 stops from 0 to 1) and transition effect (none | fade | elastic) on the settings page. As always, let me know if you have any questions or suggestions…either in the comments below, via the contact page or on the support forums. And finally, if you like the development so far, a good rating on WordPress.org would be much appreciated!